Juliana Aconito has spent many years researching, cooking, and getting in tune with her body for the purpose of living the healthiest life possible. Healthy living has always been a priority for her, however, not quite to the extent that it is today. After years of working in the world of finance, the stress of the lifestyle choices that went with the work started to take a toll on her system. No need to go into too much detail, however, let’s just say that noticeable hair loss was the breaking point. Quitting a career as a single woman at the time, with mortgage payments does not sound like a well thought out plan but sometimes one must take drastic measures. Through nutritional and lifestyle changes, she was able to get her body back into balance and enjoys helping others do the same. 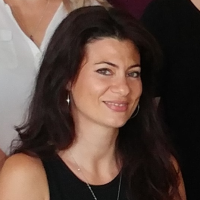 As a Nutritionist, Juliana focuses on teaching people how to make sound dietary choices for long term health and also enjoys incorporating this philosophy into her cooking classes offered through the City Of London. In addition to the her work as a Nutritionist, Juliana offers Hair Follicle Analysis out of both St. Thomas and London Locations.